The land referred to by the Astronomer Royal, George Airy, as the ‘Reserve(d) Ground’ in Greenwich Park, is currently known as ‘The Queen’s Orchard‘. 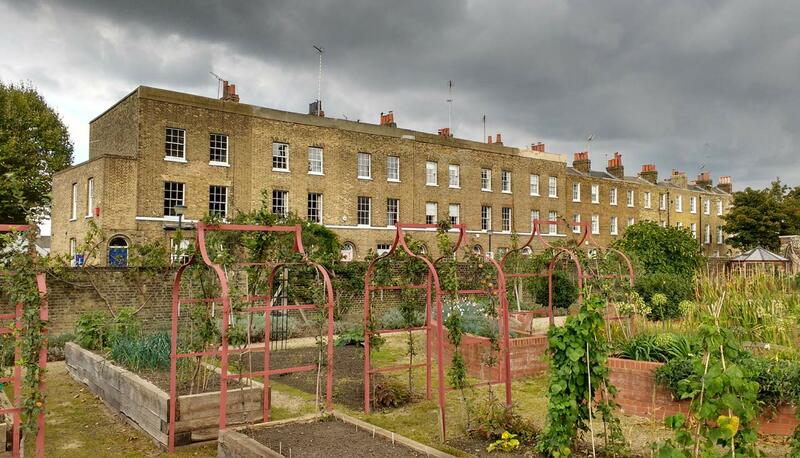 Located in the north-east corner of the Park, it is a narrow strip of land of about 0.3 hectares bounded by high walls. Park Vista (formerly Park Place) lies to its north and the main Park to its south. 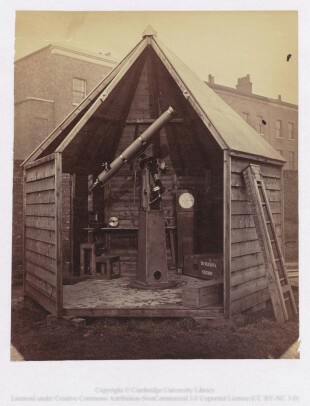 From about 1872 until at least 1879, it was used by the Royal Observatory in connection with the 1874 British Transit of Venus expedition. The Queen’s Orchard is occasionally opened to the public. In the run up to the Transit of Venus, numerous huts were constructed at the Royal Observatory to house the observing instruments during the Transit. As they were completed, they were erected in the South Ground for instrument trialling prior to shipping. By the middle of 1872, the Observatory was beginning to run short on space. Airy therefore arranged with the First Commissioner of Her Majesty’s Works and Parks for the Reserve Ground of Greenwich Park to be temporarily used for the overflow. On 20 September, while Airy was on leave, Archibald McIntyre, the Superintendent of Greenwich Park, called at the Observatory to ascertain the area required in the park and the time the huts would probably remain there (RGO6/784). In his journal (RGO6/59/1 & RGO6/59/2), George Tupman, (whom Airy had put in charge of coordinating the expedition), variously refers to the Reserve Ground as Maze Hill, the vicarage garden or ground and the vicarage. He also records that huts were set up in the Wilderness, (the enclosed area in the south-east corner of the Park that is now the deer enclosure), the Royal Naval College and at Chatham. Eight of the observing huts had been transferred to the Reserve Ground by 22 May 1873, with several more after that. By 20 May 1874, all the huts bar those destined for Egypt had been taken down ready for shipment. On their return from overseas, many of the huts were stored in the Reserve Ground until at least 1879. The image (above right) of the Transit of Venus hut in the Reserve Ground is reproduced in compressed and slightly cropped form under the terms of a Creative Commons Attribution-NonCommercial 3.0 Unported License courtesy of Cambridge Digital Library (RGO6/276).